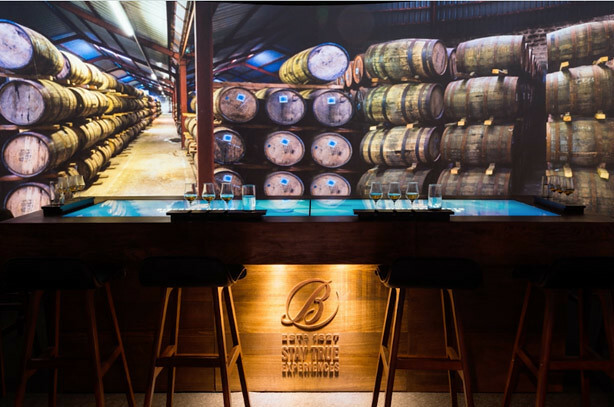 We were approached by Aesop Agency to provide the immersive projection element for Ballantine's 'Stay True' digital tasting experience. The aim was to tell the story of Ballantine's Prestige blends. This was done by immersing visitors in the history and stunning locations that are so important to the Ballentine’s brand. With a little tinkering, we integrated it with the Igloo playback software. This meant glyphs on the base of whisky bottles could trigger specific 360º content clips when detected by the table.